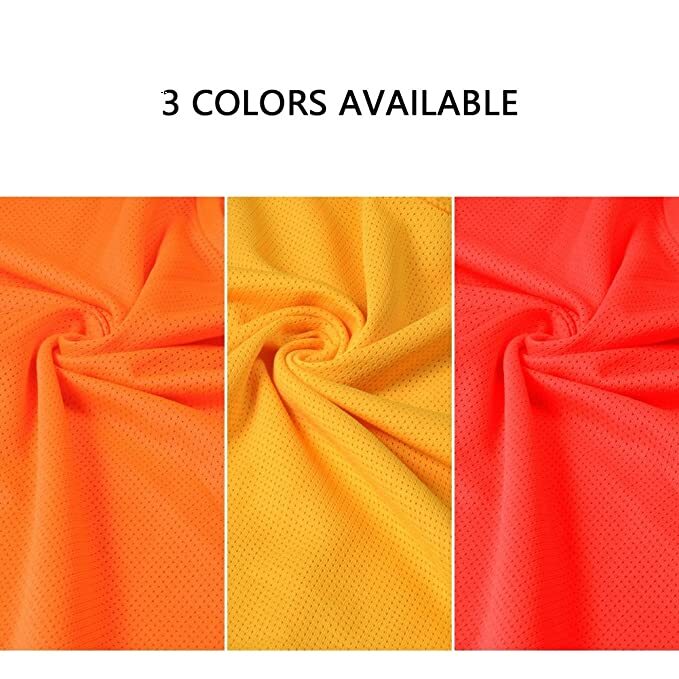 BREATHABLE: Adpted polyester material in mesh design, which ensures enough ventilation to keep you cool while running up and down, this football vest is comfortable and breathable to wear. LOOSE FITMENT: They are designed to offer a slightly loose fit to allow for unrestricted movement. 44cm in width, 55cm in length allows our training vests to comfortably fit kids, youth between 115-145cm. .
1. 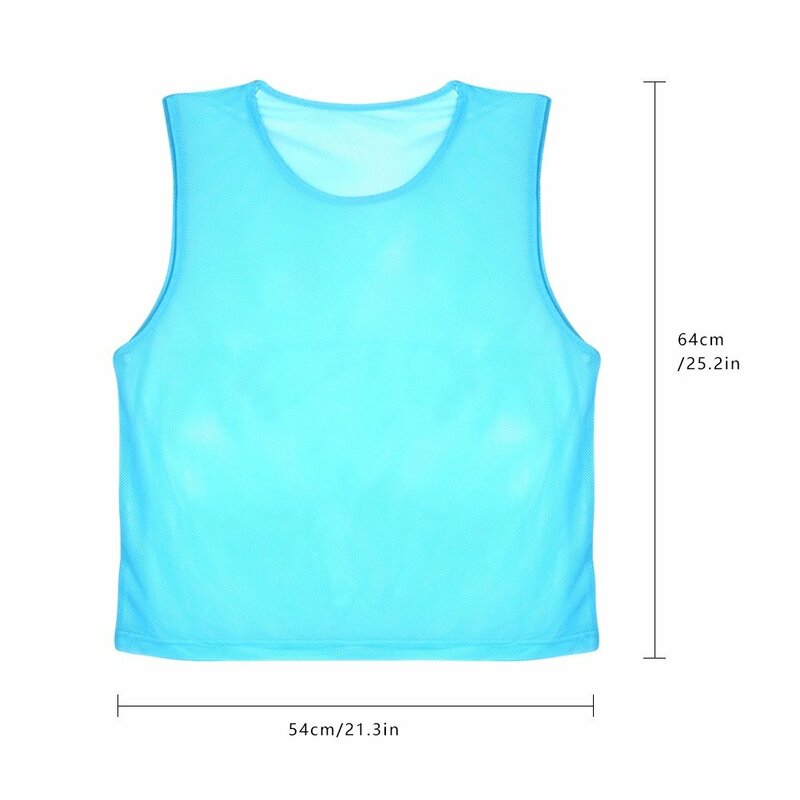 BREATHABLE: Adpted polyester material in mesh design, which ensures enough ventilation to keep you cool while running up and down, this football vest is comfortable and breathable to wear. 2. LOOSE FITMENT: They are designed to offer a slightly loose fit to allow for unrestricted movement. 44cm in width, 55cm in length allows our training vests to comfortably fit kids, youth between 115-145cm.